Thanks to 3D printing, now anyone can create the structures of their dreams. 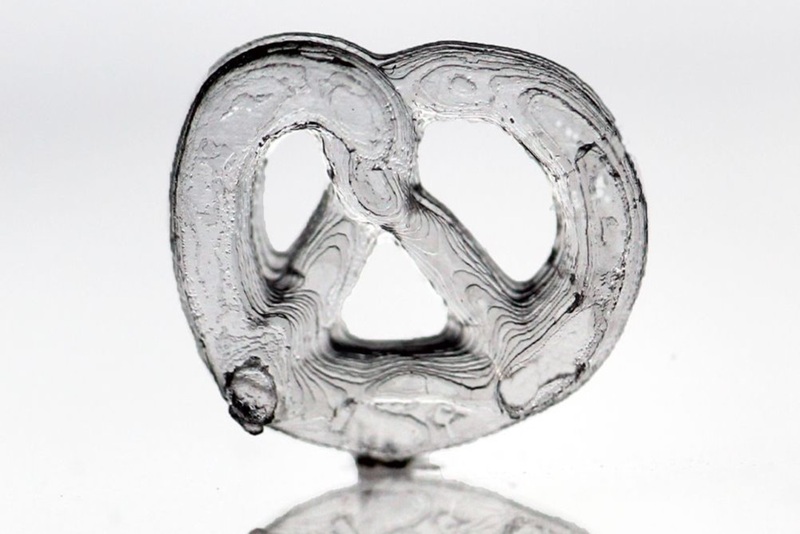 Taking this to a whole new level, a team from Karlsruhe Institute for Technology in Germany created a material called Liquid Glass which opens up a new range of applications and uses for 3D printers. Normally a facility would have to use incredibly high temperatures and hazardous chemicals to build a tiny glass structure. Liquid Glass, however, can form into any object at room temperature before being put into a furnace to cement the structure. As a substitute to the typical polymer printing materials, objects made with Liquid Glass will have increased resistances to heat and acids, including transparency. These attributes make Liquid Glass ideal for research facilities who need to manufacture high quality 3D printed products as part of their studies, such as labs specializing in optics, data transmission and biotechnology. The technology was presented at the Hanover Fair from April 24-28 this year.